Dustin joined Ironbark Asset Management in May 2017 and is responsible for assisting relationships with research houses, asset consultants and dealer groups. 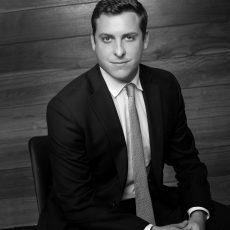 Previous to joining Ironbark, Dustin worked at BT Financial Group as an Associate in Private Wealth Services where he was responsible for end-to-end Product Management of Tier one and two primary market book builds (IPOs) for UHNW clients. Dustin has previously worked at BTIS in roles such as Sales Manager and Financial Consultant, where he has built his skills in building investment solutions and strategic distribution. Dustin has had over 5 years’ experience in the Financial Services sector and is RG146 compliant.